Kuwait expects to start commissioning Phase I of the Lower Fars Heavy Oil Development facility project by August 2018 with turnover in May 2019, said Badria Ali Abdul Rahman, deputy CEO (NK), Kuwait Oil Company (KOC). 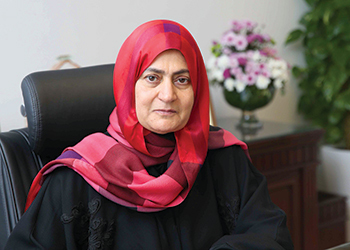 Speaking ahead of the Middle East Heavy Oil Congress (MEHOC), which was held in Bahrain from April 11 to 12, she said in an interview that the project is currently in the detailed engineering and construction phase. Worley Parsons had completed the front-end engineering and design (Feed) for the first phase of the project in January 2015. KOC then awarded a $4.1 billion contract to Petrofac to execute the engineering, procurement, and construction (EPC) activities of the project, she explained. The project encompasses a comprehensive set of production segments, from upstream to downstream. The scope of work covers greenfield and brownfield facilities, and includes engineering, procurement, construction, pre-commissioning, commissioning (EPC), start-up and operations and maintenance work for the main central processing facility (CPF) and associated infrastructure, as well as the production support complex. This includes a pipeline of almost 162 kms, which will transport the heavy crude from the CPF to South Tank Farm located in Ahmadi, from where KOC has the option to send it to the future Al-Zour refinery in the south of Kuwait. To date, over 1040 wells were drilled of which large volume of data were collected and studies were conducted. The completion campaign of HO phase I project related wells has been commenced in which 930 wells will be completed and equipped by SRP by January 2018, she said. The project also envisages building a grass-root refinery at Al-Zour area, south of Kuwait City with a total capacity of 615,000 barrels per day. Al-Zour Refinery, which will be one of the largest oil refining plant worldwide, will fulfil the downstream strategy of the Kuwait Petroleum Corporation. In addition to its domestic benefits as the prime supplier of feedstock to the power plants, Al-Zour Refinery will enhance competitiveness of Kuwait petroleum products on the world markets because of its ability to meet the stringent requirements of those markets. The refinery will handle KOC heavy Oil production. In June 2015, KNPC awarded the new refinery project at Al-Zour and it is anticipated to be commissioned by 2019, she said. She said Kuwait has adopted an ambitious vision to generate 15 per cent of its total energy needs by 2030. Additionally, crude oil’s drop in price has highlighted the attractiveness of renewable energy’s relative isolation from fuel-price fluctuations. KOC recognises that alternative energy sources will not only reduce the cost of heavy oil projects, but will also make heavy oil extraction a cleaner process and result in a better environmental outcome. "Hence, there are several initiatives that we at the Kuwait Oil Company are considering to apply in order to keep the impact of heavy oil extraction on our ecosystems to a minimum." One of the initiatives in the framework of heavy oil is the application of solar energy to generate steam and power for thermal enhanced oil recovery operations. KOC is currently developing a scope for a solar pilot project to generate steam to be implemented on KOC HO Phase I project. "In this way, we will maximise the synergies already available in the industry, reducing the consumption of fuel in steam plants and other processes." The ecosystem in the Middle East is very sensitive, and its protection one of our most relevant objectives. To a question on Kuwait’s 2040 strategy and what kind of challenges she anticipated in the coming 5-10 years, she said: "Low oil prices have been a prominent feature of the market; Kuwait Petroleum Corporation with KOC recognise that it is essential to make investments now, as an enabler to ensure a competitive, flexible, and better position for Kuwait in the future. We are proceeding with plans to enhance Kuwait’s role in the oil industry, to be more effective in securing the supply of the world’s energy." KOC aims to achieve and maintain a lead position among regional and global national oil companies as one of the top gas and oil exploration and development companies and be a major supplier of energy. Accordingly, the Kuwait 2040 strategy lays out an ambitious future to explore, develop, and produce oil and gas at a greater scale and complexity than at any time in KOC’s history. The strategy was developed to ensure that Kuwait will definitely play a role in meeting future energy needs, targeting higher crude oil capacity. "The development of Heavy Oil is an integral part of our strategic vision and plans, of course developing such resources tend to be challenging and expensive relative to many conventional crude oil developments," she said. Managing cost, optimising energy consumption, and creating long-term sustainability are considered some of the major challenges facing KOC today. These are being mitigated by adapting an integrated approach and obtaining technological solutions from top operators and industry leaders. Another major challenge is to overcome the scarcity of experienced human resources. Significant levels of skilled workforce with expertise in thermal enhanced oil recovery, engineering and construction, and operation and maintenance capabilities, take years to develop, therefore KOC has the participation of international operators and recognised international services companies, who provide on the job support and competency development to young Kuwaitis in preparation for future projects. Similar to any international and national company, KOC has recognised the instability of oil price as one of the major challenges. However, KOC’s strategies have always helped it to sustain its operations amid a challenging oil market in the past, and will continue to weather the storm of the present oil market as well. Talking about MEHOC, she said the Congress presented a great opportunity for oil and gas professionals to learn more about the dynamic sector of heavy oil, and provided an opportunity to network with experts and professionals from the community. It offered in-depth knowledge and helped them understand the key drivers.